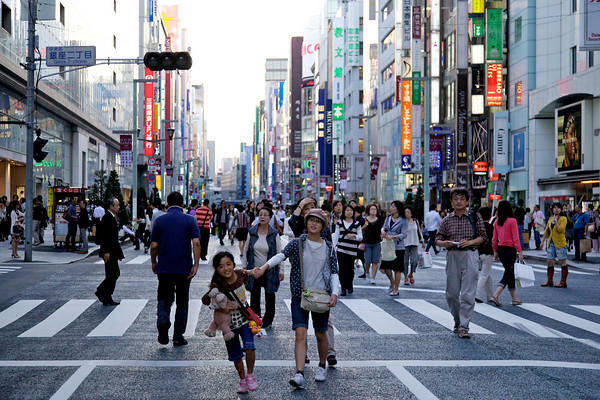 We recently went on a three-week adventure to Japan with our three and four-year-old daughters. We fell in love with the country and enjoyed working through the cultural differences with food, language, transport and the variety of toilets. I have to admit I was worried about taking small children to Japan when the Japan Tourism Bureau told us it’s not child-friendly and recommended we go elsewhere. On the contrary, it was the most child-friendly destination I have ever visited and I can highly recommend tackling Japan with kids in tow. The designer area Ginza, as stylish as New York’s Fifth Avenue but much larger, has the most amazing fashions and people watching. They close the streets on Sunday to traffic so it is packed with people in the most interesting fashions. We sat on the pavement for a while and watched the locals go by. Three huge toy stores, one was six floors in size and took an entire afternoon to explore, we’ll show you around inside a little later. 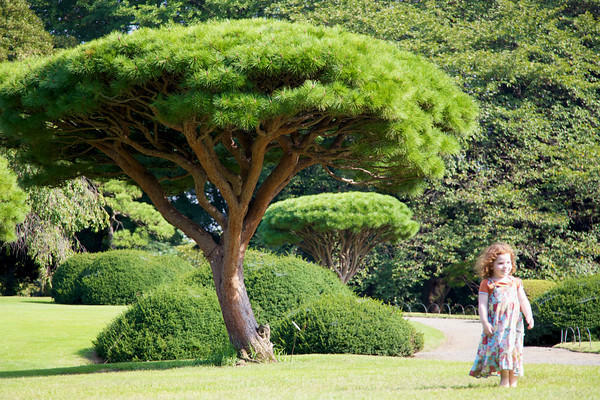 There are many parks all over Japan with ponds, kids’ playgrounds, rides, buskers and ice cream for those hot days. Disneyland and DisneySea are a must and we spent two fun-filled days exploring the two parks which are only ten minutes by train from the centre of Tokyo. 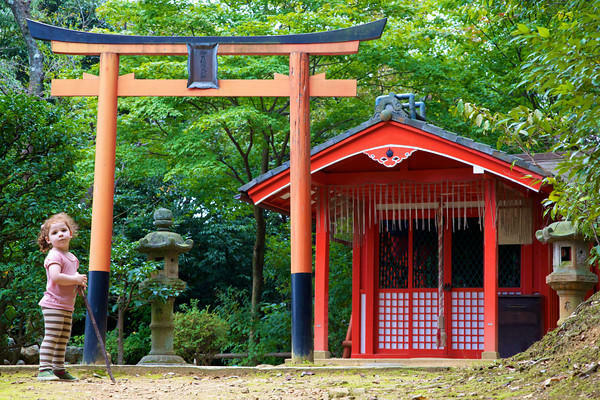 There is also the more traditional side of Japan with temples, shrines, geishas and places like Kyoto to see. Much of this is reached via bullet trains, which I loved almost as much as the kids. 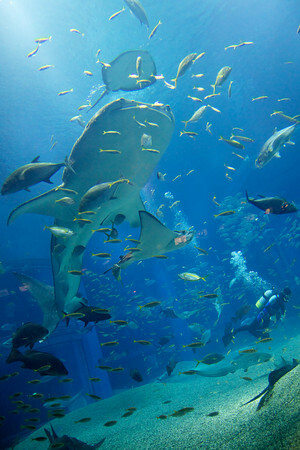 The Osaka aquarium has the largest whale sharks in the world and is designed so you start at the top and walk down the ramps with seven levels of marine life to take in. First up is my love for all things Muji. I have always been a fan when visiting London, but in Japan they are everywhere. 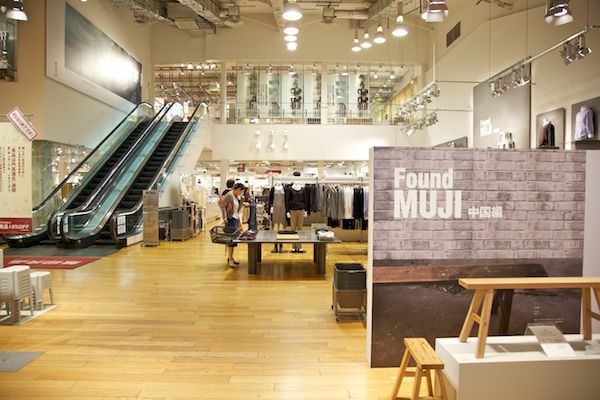 We have mentioned Muji in the past as they have a huge baby and kids clothing department, toys, homewares and everything else you can imagine. 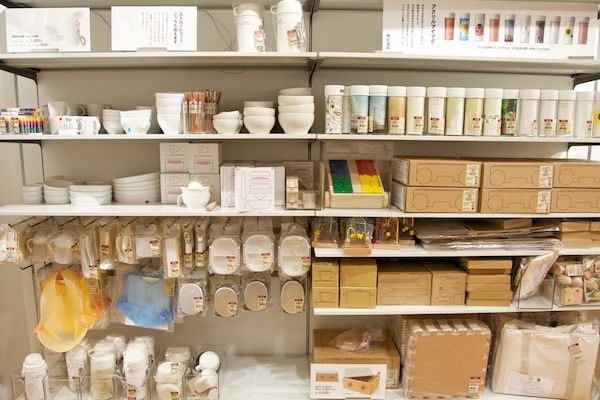 I describe Muji as a modern and contemporary Japanese version of Ikea, only with fun Japanese meals and snacks at the kid-friendly Muji Cafe instead of the Swedish meatballs. The toys at Muji are gorgeous and affordable. My favourite toys for older kids are the lego and paper sets. 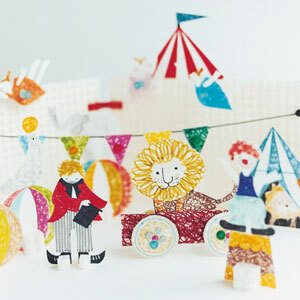 There are so many to choose from but the animal or circus sets are my favourites. 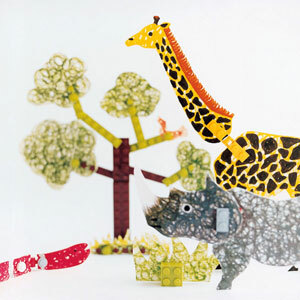 It’s hard to go past the Muji toys, they are very reasonably priced and just gorgeous. 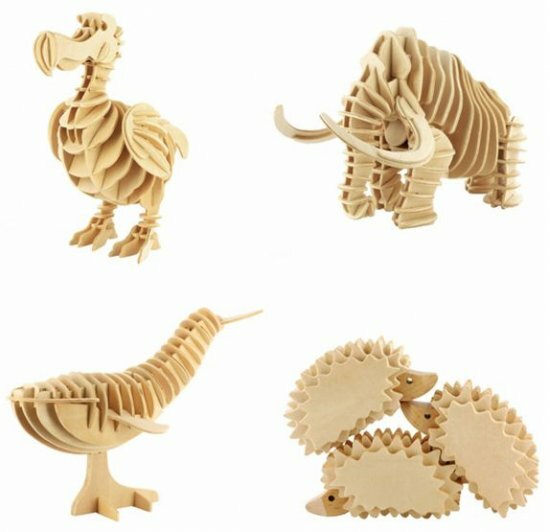 The animal toys are almost too beautiful to give to a child as they can be easily broken, but I had to get a few anyway. They range from US$8-US$12. 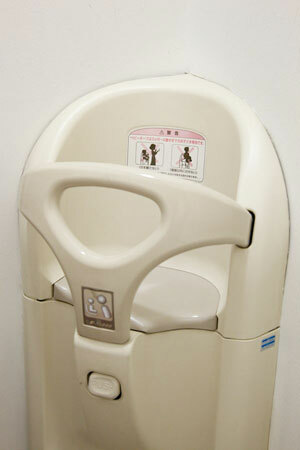 One of the things I loved most about Japan was the cleanliness and hygiene. All change rooms or bathrooms had baby seats like this one below where you can sit your child while trying on clothes or using the bathroom. Why are these not featured in every country! Have you tried going to a public bathroom lately with your baby in a sling or carrier? I also love the punctuality in Japan. If a train is scheduled for 11:52am, it arrives at exactly this time, not a minute earlier or later. I love that! Another appealing aspect is the lack of theft. We left bags and prams on the platform while loading our kids on the trains and theft was not an issue at all. At Disneyland too we left our prams and bags for hours and found everything there on our return. All of this takes away a lot of the stress that comes when travelling with kids. Over the next few days I’ll show you some of the best toy stores, child-friendly accommodation, parks and activities. Enjoy our Japan features, feel free to ask questions and I’ll be more than happy to answer. I can’t wait to visit Japan again and explore some more.